There’s nothing like a security and surveillance system with quality outdoor security cameras. A good quality camera is rugged and well protected from the elements, yet sensitive enough in function to produce a video image with only the slightest amount of light. Quality outdoor security cameras need to be maintenance free as well, since these cameras are often mounted high atop poles, buildings or other difficult to reach locations. Outdoor security cameras are built with a protective case or enclosure that protects the camera from various types of debris and other matter. This is necessary because these cameras are often mounted in open locations that expose them to heavy winds, rain, snow, and dirt and dust. 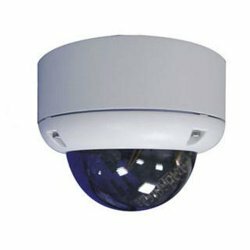 High quality outdoor security cameras are normally rated according to the protection the camera is afforded by the covering using an International Electrical code standard. The standard provides criteria for a rating called an Ingress Protection code or rating. The ingress protection code is designated by the letters IP followed by two digits. The first digit corresponds to dry matter objects; the larger the number the smaller the matter that is prevented from entering the camera. The second digit corresponds to liquid. Quality outdoor security cameras should be IP rated and their rating should be at least an IP66 or IP67. Both ratings’ first digit (the numeral “6”) indicates that the camera is dust tight; no dust can enter the camera. An outdoor camera with an IP66 rating can also withstand powerful jets of water from any direction. An outdoor camera with an IP67 rating can also withstand being submerged in water up to one meter in depth. 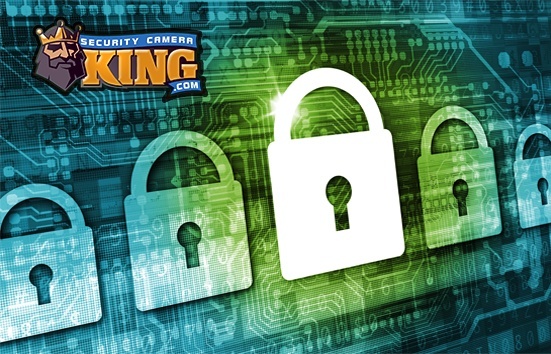 When purchasing quality outdoor security cameras another key component to consider is the image sensing chip. Not all chips are made alike so it is important that your camera uses a quality manufacturer’s sensor chip. There are two different types of sensor chips. Both are electrical circuits that contain material that is sensitive to light. When the lens focuses the light image on the chip, the chip is able to convert the light energy into electrical energy which can then create a digital picture. The two types of sensor chips are called either a Charged Coupled Device or CCD or a Complimentary Metal Oxide Semiconductor. Each of these sensors works a little differently but both still produce the same result; a digital video image. Not only should you look for sensor chips built by quality manufacturers but the size of the chip can be important too. CCDs and CMOSs normally range in size from about ¼ inch to up to 1 inch or more. Generally the larger the size of the chip the larger the size of the video produced and the greater the resolution or clarity. Probably one of the most popular quality sensor chips used in many quality outdoor security cameras is the Sony 1/3 inch Super HAD II CCD. This is not the only quality sensor ship available of course, but it is very popular. This chip produces video resolution of at least 420 TV lines and is capable of producing video with up to 600 TV lines of resolution. This chip is also used in night vision infrared cameras as well. Another characteristic to look for in quality outdoor security cameras is called the signal to noise ratio. It is normally written in the cameras specifications as “S/N.” The higher this number is, the clearer the picture produced by the camera. A good quality camera will have a minimum S/N ratio of 48dB, although there are cameras that have rations as high as 60 dB or higher. High quality outdoor security cameras should also be accompanied with good quality service and support. Look for camera vendors that offer free technical support for installation and setup of your cameras. In addition, vendors should service the products that they sell. Finally, quality outdoor security cameras should be rugged enough to last for years once they are mounted and installed and really should require no maintenance. However, look for cameras that have good, comprehensive warranties. A good warranty for an outdoor digital video camera will cover a period of at least 1 year but better warranties will offer 3 years of coverage. Remember when shopping for your quality outdoor security camera that there are several characteristics of the cameras to look for and the cameras should come with service and support. A good quality outdoor security camera will provide you with years of satisfying service.